Looking for a stylish reading nook or quiet-time space for your child’s bedroom? 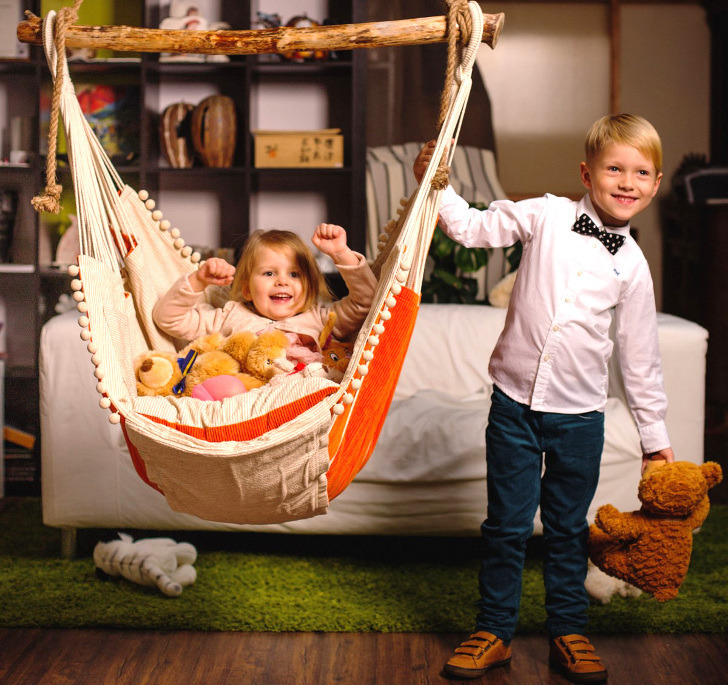 This gorgeous hammock chair from Etsy store Chilloutchair may be just the thing! Designer and woodworker Zigurds Penkulis handcrafts the chairs in Latvia, and each spring he collects driftwood from Baltic Sea beaches to use as cross bars for his range of products. Because the wood has to fit his exacting specifications, he makes a limited number of chairs per year and each one is unique. The chairs are currently available in eight colors, though Zigurds has a soft spot for the bold, bright orange model. Etsy feedback is glowing for the chairs’ comfort factor, and each chair comes with two cushions and supports up to 264lbs. Looking for a stylish reading nook or quiet-time space for your child's bedroom? This gorgeous hammock chair from Etsy store Chilloutchair may be just the thing! Designer and woodworker Zigurds Penkulis handcrafts the chairs�in Latvia, and each spring�he�collects driftwood from Baltic Sea beaches to use as cross bars for his range of products. Because the wood has to fit his exacting specifications, he makes a limited number of chairs per�year and each one is unique. The chairs are currently available in eight colors, though Zigurds has a soft spot for the bold, bright orange model. Etsy feedback is glowing for the chairs' comfort factor, and each chair comes with two cushions and supports up to 264lbs.